Sign Up Right Now... It's Completely Free for 7 Days! 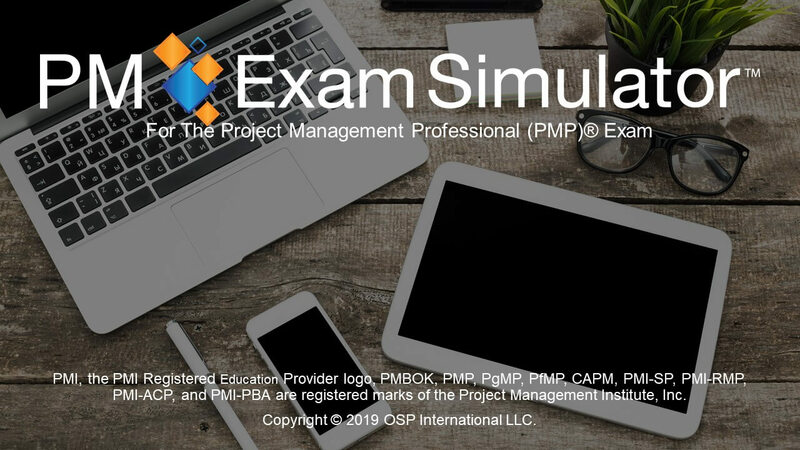 The Free PMP Exam Simulator offers 3 exams / 60 questions. Scroll down for more details. The Free PMP Exam Simulator offers the same overall features as you will find in The Premium PMP Exam Simulator. It is a great way for you to try all the simulator features for a week before you decide to buy the premium version outright. Your free access will confirm to you that this simulator not only has the best features but beats the competition with 1,600+ realistic questions that are as close to the real PMP exam questions that you can find. The Free Simulator includes all of the following. Click on any review to see the full list. In this 4-part email course we introduce you to important multiple choice test taking strategies, give our recommendations for other PMP Exam study material you need and we review the benefits of a simulator. You probably want to shop around and buy the simulator that's just right for you. Use this MS Excel worksheet to compare our simulator to the others that you have found. Then make your selection. Let us know if you find a better one and what makes it better. We'd love to improve. Our weekly PMP Exam Tips Newsletter offers tips, tricks, study approaches, best practices, articles and recommended study materials. A must have for everyone preparing for the PMP Exam. (You can unsubscribe at any time). Gain Confidence and reduce study time. Access online - Anytime and from Anywhere.